VHS front cover for Ax' Em. Ax 'Em (also known as The Weekend It Lives) is a 1992 urban horror film written and directed by Michael Mfume. The film went under the original working title of The Weekend It Lives. It was originally marketed as a spoof of horror slashers with a budget of $650. The movie had a limited theatrical release in Baltimore, Maryland in 1992, before falling into obscurity. After the rights were picked up by the home video distribution company, York Entertainment in 2003, many changes were done to the movie that deviated from the director's original vision. The tone was inconsistent, and scenes went out of order or missing entirely, leaving the film often incoherent. 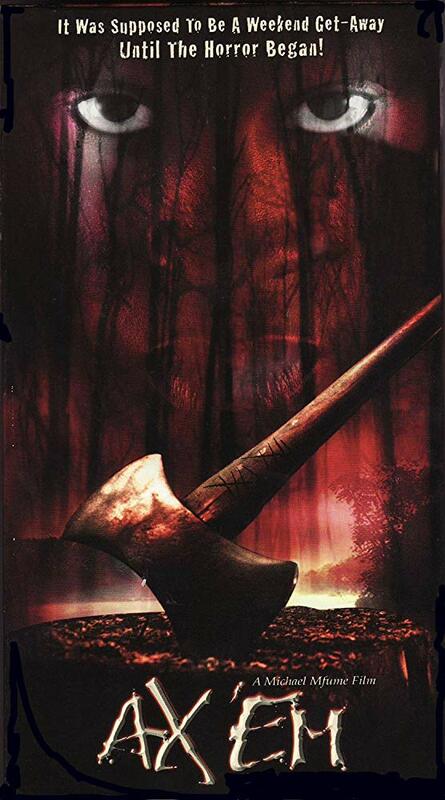 The film was met with an extremely negative approach from critics, judging the movie from its poor audio track, shoddy camera work, lack of character motiviations and development, the cheesy body count, and the fact the killer in the movie uses anything but an ax as a weapon choice. The film gained more popularity and notice when Brad Jones covered the Ax' Em cut of the film on his web series The Cinema Snob in 2010 after his fans requested him to review it. The full movie for the York Entertainment release can be found online, on VHS or DVD, and as for The Weekend It Lives, no surviving prints have turned up.